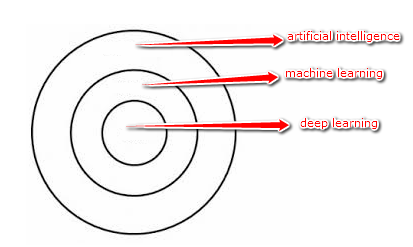 AI-powered machines are usually classified into two groups—general and narrow. The general artificial intelligence AI machines can intelligently solve problems, like the ones mentioned above. The narrow intelligence AI machines can perform specific tasks very well, sometimes better than humans—though they are limited in scope. The technology used for classifying images on Pinterest is an example of narrow AI. As the name suggests, machine learning can be loosely interpreted to mean empowering computer systems with the ability to “learn”. The intention of ML is to enable machines to learn by themselves using the provided data and make accurate predictions. ML is a subset of artificial intelligence; in fact, it’s simply a technique for realizing AI. It is a method of training algorithms such that they can learn how to make decisions. Training in machine learning entails giving a lot of data to the algorithm and allowing it to learn more about the processed information. As you can see on the table above, the fruits are differentiated based on their weight and texture. However, the last row gives only the weight and texture, without the type of fruit. DL algorithms are roughly inspired by the information processing patterns found in the human brain. Just like we use our brains to identify patterns and classify various types of information, deep learning algorithms can be taught to accomplish the same tasks for machines. The brain usually tries to decipher the information it receives. It achieves this through labelling and assigning the items into various categories. Whenever we receive a new information, the brain tries to compare it to a known item before making sense of it—which is the same concept deep learning algorithms employ. Comparing deep learning vs machine learning can assist you to understand their subtle differences. For example, while DL can automatically discover the features to be used for classification, ML requires these features to be provided manually. We promise to develop an AI algorithm that tells us whenever someone raises their hand.